My Apple Magic Mouse is one of my favorite things, and obviously something I use all day long. I’ve recently discovered a few hiccups and you may have to. And I have a solution for you if you find that your Magic Mouse will disconnect, connect, etc. over time. The batteries that you use have a larger impact on the operation than you’d first realize. Energizer batteries are slightly longer and thicker than other brands. Using Energizer batteries might solve your problem. They did for me. For a while. They maintain better contact with the battery leads. 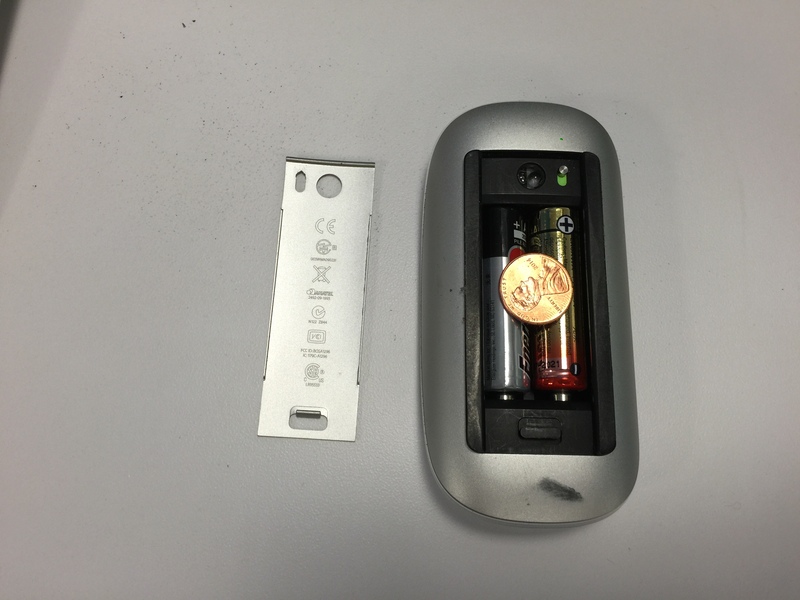 Use a penny behind the battery door – which will exert pressure on the batteries to keep them pressed against the inside top of the mouse while in use. I’ve done this and it’s fixed my connection issues. Below is a photo of what I’m talking about. Photoshop CC. Saving Art boards.